However, unlike timber decking, with the minimum of maintenance, Lifecycle will continue to look good year after year, in fact, made in the USA, it is backed by a 25-year manufacturers guarantee. 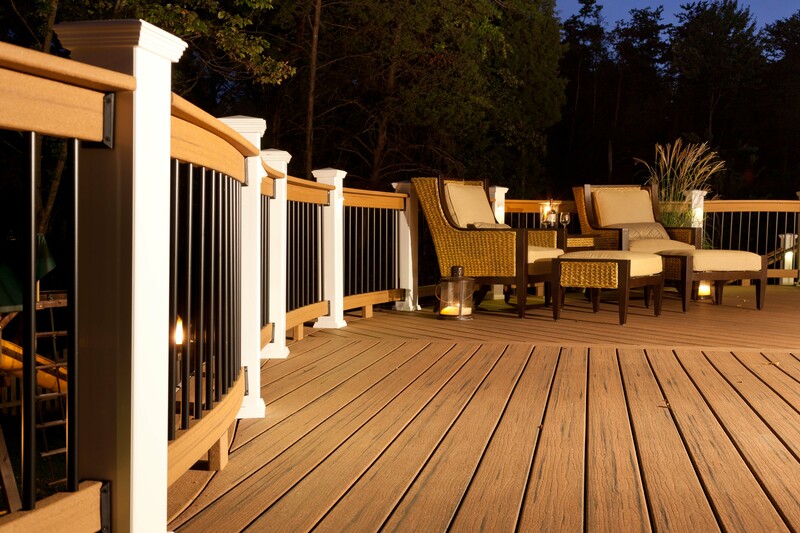 A further advantage of Lifecycle over other composite or timber decking is that it has a unique, stain resistant, ‘closed-surface’ that does not absorb oil, spills or drips – something which, after a few BBQ’s or sun-bathing sessions can often make other decks quickly look unsightly. Lifecycle is made from recycled American red and white oak fibres plus polyethelyne with a patented process where the fibres are heat treated and encapsulated in a hard polymer shell. This produces an exceptionally solid and stable board. It’s also extremely environmentally friendly and sustainable. 95% of the materials used to manufacture the boards are recycled, including the oak fibres and plastic polymers. Plus, giving these high quality materials a second life reduces landfill and waste incineration. Lifecycle requires no annual sanding, varnishing or staining and the embossed wood grain surface offers good friction whether wet or dry. Being splinter-free, Lifecycle is ideal for bare feet. Despite being hard wearing, the boards feel great to the touch. Available in three colours: dark Walnut, golden Tigerwood or sun-bleached Desert Sand. All the boards feature natural looking streaks and veins, making each deck a unique living surface.